RJC Yacht Sales & Charter announces New Listing - 96' 1995 Nordlund, ALTISA VII! Bob Cury has taken over the Central Agency on the 1995/2004 96' Nordlund MY, ALTISA VII. 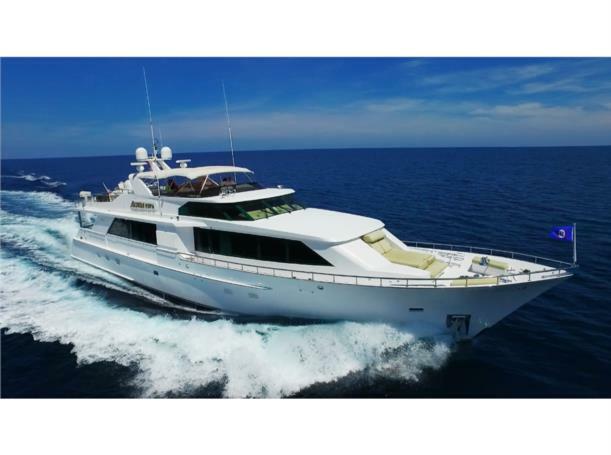 This vessel was custom built for her original owners and represents a very well maintained four stateroom Motoryacht which was repowered with new Caterpillar C30 main engines. Her interior joinery features Anigre throughout and on-deck layout offers a large salon and dining area, spacious aft deck, along with gourmet galley forward. Her oversized flybridge features a Jacuzzi tub, BBQ grill, generous seating and sunlounges along with a Marquipt davit and 15' Nautica tender. Additional large options include Naiad stabilizers, bow thruster, twin Northern Light generators, and two Sea Recovery watermakers. Her new asking price has been reduced to $2,395,000. and available for convenient inspection in Ft. Lauderdale.